Benue State Governor Ortom Says - "We Need N40bn To Clear Salary Arrears". 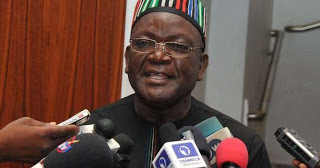 Samuel Ortom, Governor of Benue State has said his administration needs N40 billion to clear the backlog of salary arrears owed workers of the state. Wen the brains and minds aren't resourceful and innovative, how can a state depends on FG alone to her works salaries.